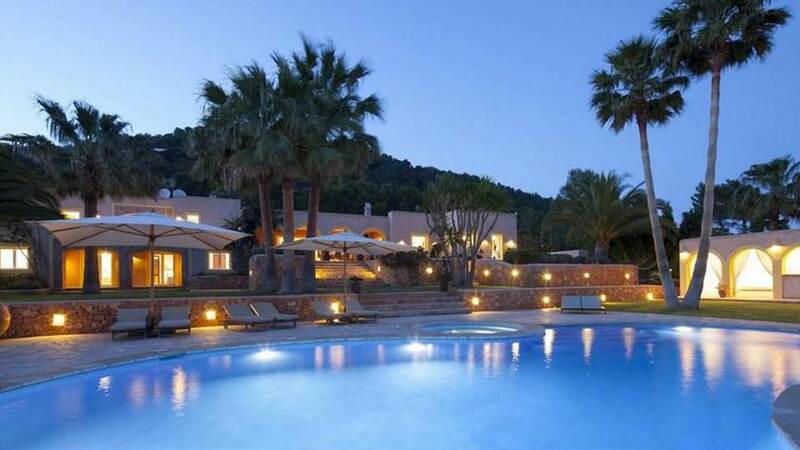 Luxurious villa of contemporary style, located near Cala Conta with spectacular sea views. The plot of 16,000 m2 fully fenced and approximately 400m2 of house (ground floor plus basement). The house is fully air conditioned. Master bedroom, Ground level, direct access to the garden, direct access to the terrace. This bedroom has 1 double bed 180 cm. Bathroom ensuite, With shower. separate WC room. This bedroom includes also TV, DVD player. Master bedroom, Ground level. This bedroom has 1 double bed 180 cm. Bathroom ensuite, With shower. separate WC room. This bedroom includes also TV, DVD player. Room, Ground level, view of the sea. This bedroom has 1 double bed 180 cm. Bathroom outside the room, shared. separate WC room. Room, Ground level. This bedroom has 1 double bed 180 cm. Bathroom outside the room, shared. separate WC room. Living-dining room of 80m2, 4 double sliding windows and large sea view terraces. TV corner with Bose 2.1 home theater, blue ray pioneer / satellite. Fully equipped kitchen with double fridge, freezer, two dishwashers, oven 90 cm, many appliances. Back kitchen with independent access. Gym of 15 m2 with sea view. Fitness bike and multi-function weight training station. Wooden pergola of 8m x 5m with fogger and solid wood table of 5.50m. Private garden for parental suite. Reception patio with alley of ancient olive trees, large terraces and two water points. The beach of Cala Conta is located just 8-10 minutes and the beach of Cala Bassa located also 5 minutes from the house. The village of Sant Josep is 15 minutes away by car. The nearest supermarket is 8-10 minutes away. Ibiza Airport is 16-17 km away. Ibiza town 20 km.